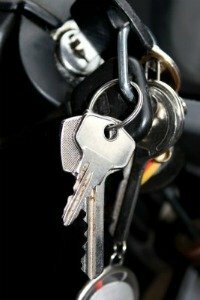 If you have lost car keys Grand Rapids MI area and don't have a spare to duplicate, we can help! We originate, or recreate) the key that originally came with your vehicle. Our experienced auto locksmith will bring the solutions to you. Give us a call We can take an order and provide quotes from 8a-8p, 7 days a week. Car keys are replaced from 8a-6p (later in Spring, Summer, Fall) in about an hour to an hour 1/2 any day. Or we can schedule an appointment at a time that is convenient to you to replace your lost car key. Lost car keys Grand Rapids MI. When you have a lost car key, we can help! We'll need the year, make and model of your vehicle. With that information we can determine the type of key you have (transponder, transistor (VATS), or metal mechanical key and the cost to replace your key. Once you provide the vehicle identification number (VIN#) of your vehicle we will obtain the codes necessary to cut a brand new key. Makes we can provide replacement keys for:1990's - 2010 Vehicles! And when we arrive -- proof of ownership with Photo ID. Title, valid registration or insurance certificate. Valid driver's license or government issued photo ID. When we create replacement car keys for your car (from the car's VIN - Vehicle ID #), the new key needs to be programmed to your vehicle and the car's computer to allow the key to work. Our auto locksmith will come to you with a fully-equipped van. Serving all Grand Rapids neighborhoods, Ada, Cascade, Comstock Park, East Grand Rapids, Forest Hills, Kentwood, Wyoming and Walker.